A great way to warm up during the cold months is with a lovely hot chocolate. 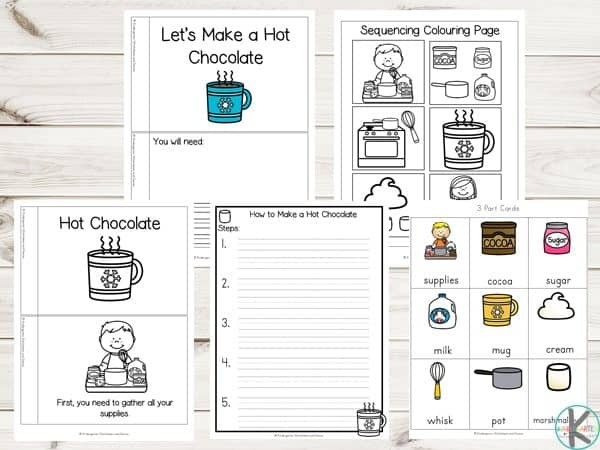 Children will love sipping on a hot chocolate with marshmallows and whipped cream while completing the activities in this fun and exciting Making Hot Chocolate Sequencing Pack. 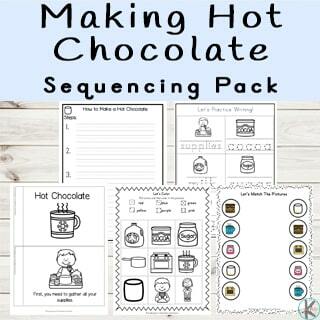 This Making Hot Chocolate Sequencing pack contains over 50 pages and is perfect for kids in preschool and kindergarten. 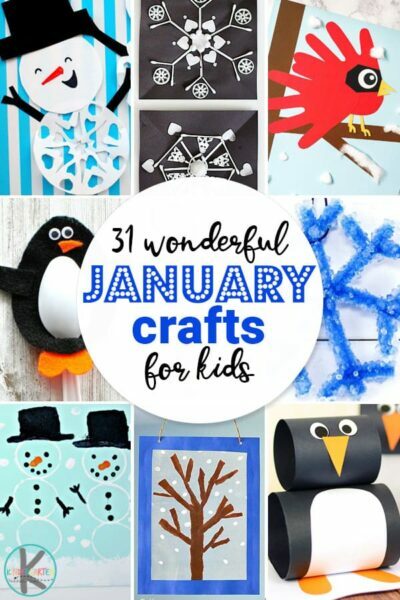 Inside this pack, you’ll find many different sequencing activities, handwriting practice, coloring pages, and much more! At the start of the printable pack, you will find two printable books. 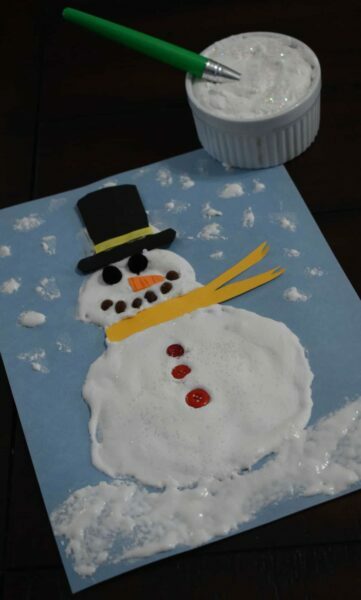 In the first book, children read a sentence about how to make hot chocolate and color in the picture. 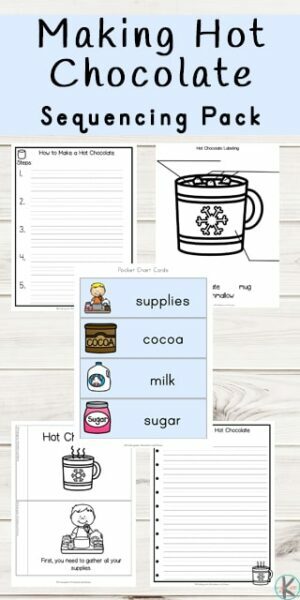 The second book contains lines for students to write, in note form or in sentences, the materials needed to make hot chocolate and then the steps they need to follow to make their own hot chocolate to drink. 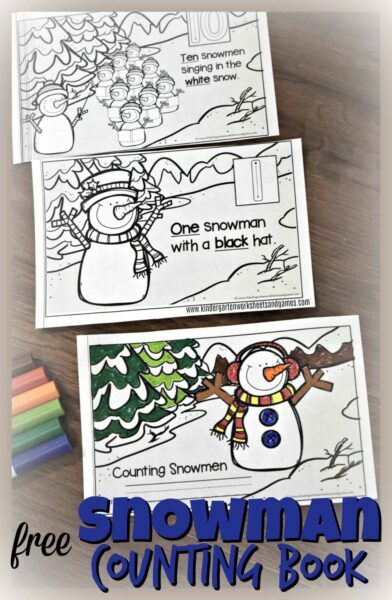 After completing these books, they could then help make a hot chocolate on their own putting the steps they have just written into practice. 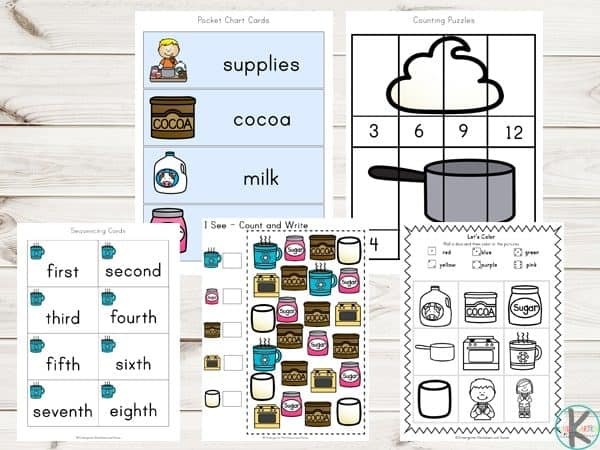 There are pocket chart cards that can be used on word walls or in pocket charts for students to place in order of sequence. 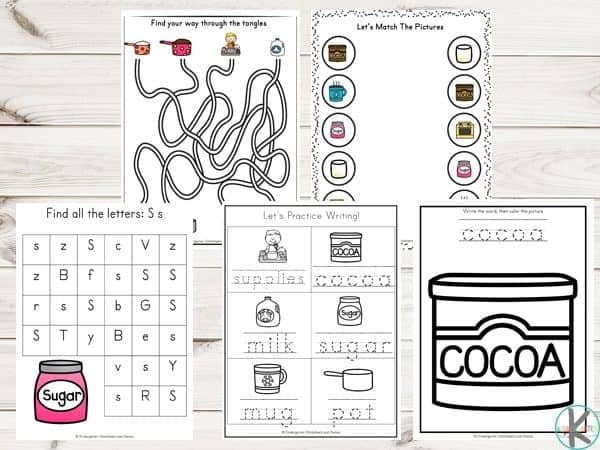 They can also used these cards for spelling or story writing.